There are so many blogs and tutorials about how to rank for Local SEO, they can teach you techniques but unfortunately, they will not guarantee a Page One listing (Frustrating!). Why? The issue comes down to space as there is only room for a couple of listings on Page One. If your company is in a competitive niche, Local SEO can be tricky. It’s time to change it up and do something all the best marketers do – get creative! Use this step-by-step list to truly get to the heart of the possibilities for Local SEO success. When someone performs a search for a local business, Page One results often come back with neighborhood or community websites. 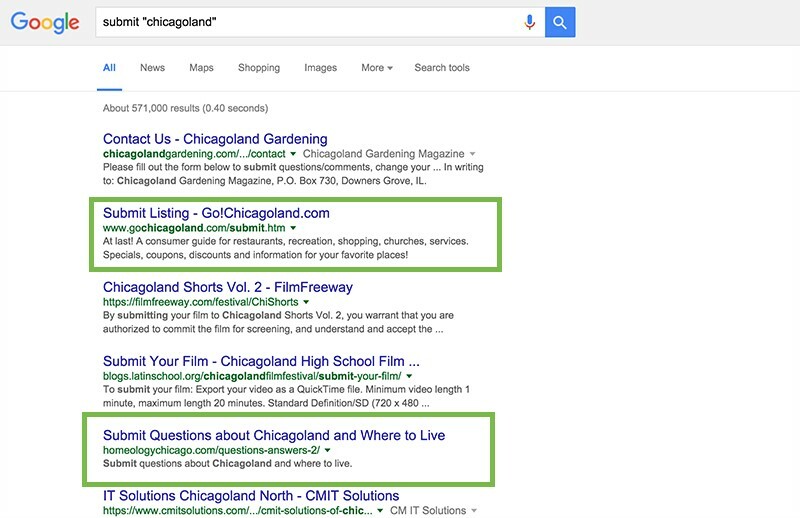 You can use these results to get creative with Local SEO. 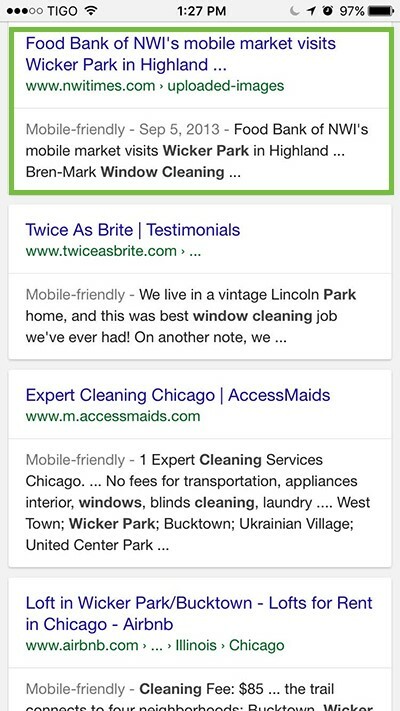 For example, if you are running a carpet cleaning business, you can use related search results to boost your visibility in local results. Now that you have this list of related searches, you can go forward with continues creative Local SEO research. Local and mobile are like best friends. If you’re trying to come up with creative Local SEO research, get off of your laptop or desktop computer, and pick up your phone or tablet. Eureka! A compiled listing of community sites. Evaluate each listing according to relevance, domain authority, and followed links. 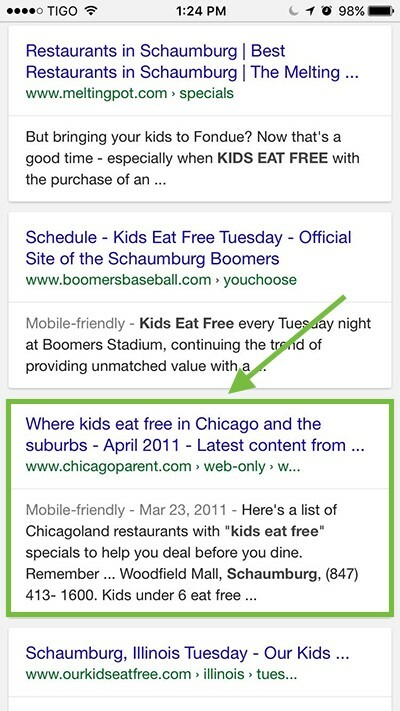 There’s your solution: ChicagoParent.com gives a relevant directory with followed links. Page one is just filled with Yelp, Angie’s List, & Yellow Pages. 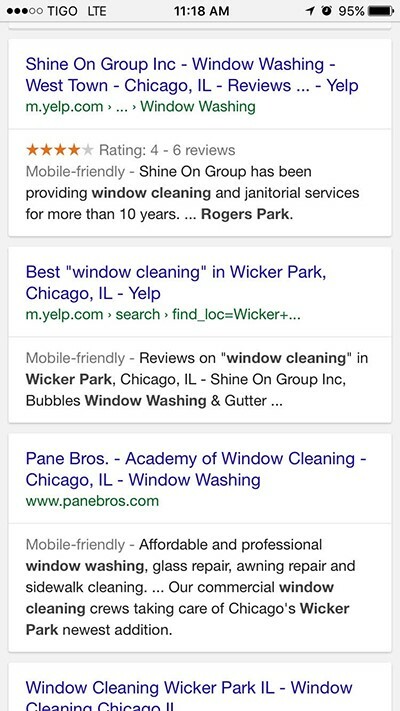 Continue to Page 2 to get truly local results. There you’ve found another link target! Eureka again! NWI.com with an amazing domain authority & ads include their own listings page with followed links. Using a typical buyer persona and logically relative searches to improve your reach and visibility in Local is a creative & thorough SEO tactic. While you may want to think of success as getting terms to rank and page one placements, we know the real incentive to do quality SEO comes from leading new visitors to a website. Scoring referral traffic utilizing a high-value local site can truly be even more valuable or certainly on the same level as Page One results. What is that? Another source for directory listing gold? 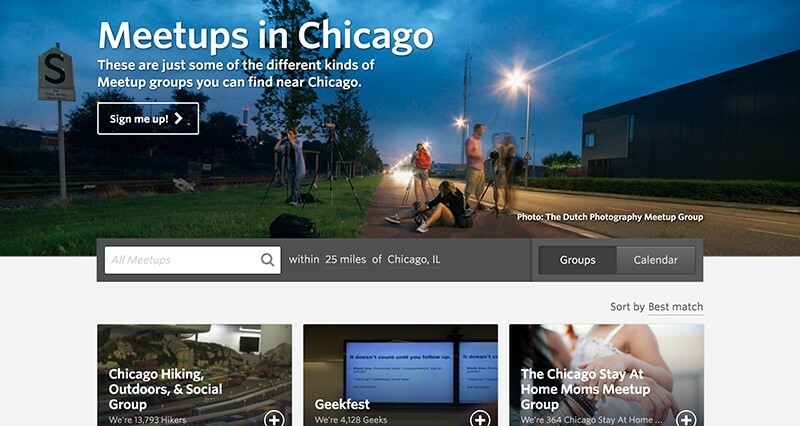 Listings below such as GoChicagoland and Homeology Chicago come up. These listings require research for SEO value. If the site doesn’t have high domain authority or does not use a professional layout, do your research. Consider a first posting a no-follow link to see if the site has the potential for quality referral traffic. A marketer tends to rely solely on data. A data mindset can rule out the obvious, especially when it comes to local search and visibility. 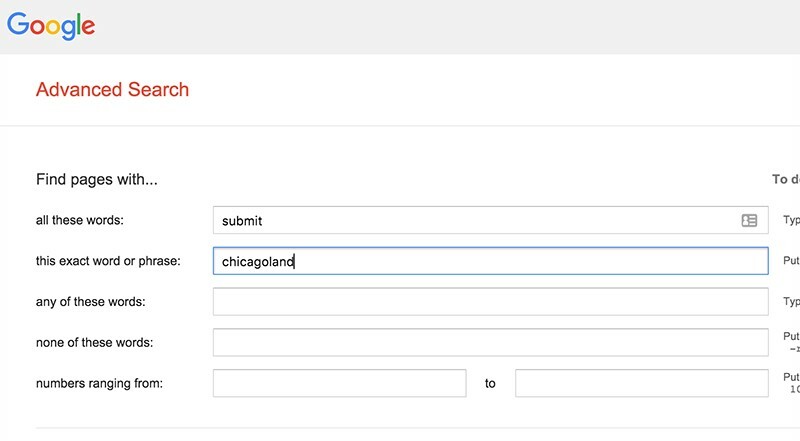 For example, if you know that your company is located in the Chicago area, your marketer will probably create landing pages for Cicero, Blue Island, Downers Grove, etc., but they probably won’t create anything for Chicagoland, North Center, West Ridge, Forest Glen, West Town, etc. Search volume data on these nickname local terms may show little value to a marketer, but if your company can identify local nicknames that everyone uses nearby, they can be worth pursuing. Local search is crucial not only for website traffic; local search also has an impressively high conversion rate. Does your company’s business serve the community or relate to local events or news? Social community pages have incredibly valuable audiences, and utilizing them effectively by creating content that gets lots of shares on these channels can bring highly targeted prospects right to your website. Local “MeetUp” groups count in this category as well. Use the Buyer Persona information to think of key MeetUp groups, and set your company’s website up as a sponsor of a MeetUp. Not only does that link provide SEO value, but there is a very good chance for profitable referral traffic. Make sure you create a robust resources page or section on your website that will capture attention from potential leads. To give an example, an in home carpet cleaning business may include a resources section dedicated to residential cleaning services, lawn care, home organization or design, and more, as a result the potential customers on your site view your site as caring about their needs and not just trying to make the sale. Use the buyer persona and other relevant information to help you create a list of resources, have your marketer judge each category against keyword search volume and get even more creative in getting that local traffic. Remember, search engines give results to the searcher to display the best of what it has to the search query because then searchers will continue to search through their platform. By incorporating these creative recommendations into your standard Local SEO plan, you are creating value not only in ranking but by building trust within the local community for your company. If there are greater website visitors and conversions from referrals, then SEO is a success, regardless if you’re on Page One for every term. Don’t settle for a cookie cutter and standard checklist for Local SEO. Leads/conversions are too valuable, and spending a little more time and effort will gain you significant rewards.